Recipes using basil in the ingredients. 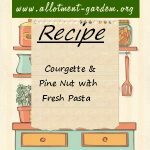 Recipe for Courgette and Pine Nut with Fresh Pasta. The key to this is doing all the preparation first so everything is ready before you start cooking. 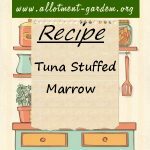 Recipe for Tuna Stuffed Marrow. Tuna goes surprisingly well with marrow and the topping to this recipe becomes lovely and crispy as it bakes. Recipe for Beetroot and Carrot Salad. Serve with other salads or on its own. Delicious with brown bread and butter! Serves 2 but easy to double up. Recipe for Basil and Courgette Pasta Bake. Easy to make, takes about 10 minutes to prepare and less than 40 minutes in total to cook. Serves 4 to 6. Recipe for Stuffed Tomatoes. To spice up a little more add 2 drops of hot pepper sauce. Works well with herb coated potatoes and garlic mushrooms. Recipe for Tomato and Courgette Glut Soup. Seasoning is very important. Don't skimp on it or you will have a very bland soup. Taste as you go along. Recipe for Penne with Courgette Cream. Can be served as an appetiser or as a main course. Any left over can be refrigerated and simply reheated. Recipe for Easy Peasy Pasta Tomato Sauce. Serve spooned on top of freshly cooked pasta and finish with parmesan or grated cheese. This Vegetable Lasagne Recipe is as easy to make if not easier than a meat lasagne dish. Suitable for vegetarians but will appeal even to the carnivores. 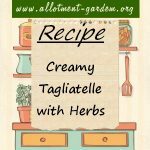 Recipe for Creamy Tagliatelle with Herbs. Nice served with freshly grated Parmesan cheese and a mixed salad. Enough for 4 portions. 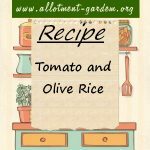 Easy to follow recipe for Stuffed Marrow - Vegetarian Version. Serves 4 to 6. A good recipe if you have a glut of marrows. Recipe for Courgette Soup. A simple recipe with a delicious result. Another way to use up the courgette glut! Recipe for Pizzaiola Sauce. 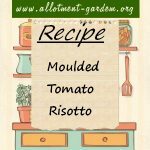 A tomato sauce to spread on the base of your home-made pizzas. Pizza Margherita traditionally has the colours of the Italian flag, red with the tomatoes, white with the mozzarella and green with the basil. Recipe for Broccoli with Parmesan and Mozzarella Cheese. Serves 4 as a side dish or part of a main course meal. 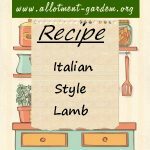 Recipe for Italian Style Lamb. Serves 4. Goes particularly well with macaroni or noodles. Recipe for Tagliatelle with Aubergines and Tomatoes. If you like olives, you can add them to the vegetable mix at the end before it goes over the pasta. Recipe for Vegetables with Brown Rice. Serves 4. A delicious vegetarian meal on its own.